BOSTON — The first week in August would be set aside to recognize the impacts of the Ice Bucket Challenge, a viral fundraising campaign that started in Massachusetts but spread across the globe, under a bill lawmakers considered earlier this week. The Ice Bucket Challenge — a fundraiser in which someone empties a bucket of ice water on their head and then challenges others to do the same — began in 2014 after former Boston College baseball player Pete Frates was diagnosed with amyotrophic lateral sclerosis, or ALS. 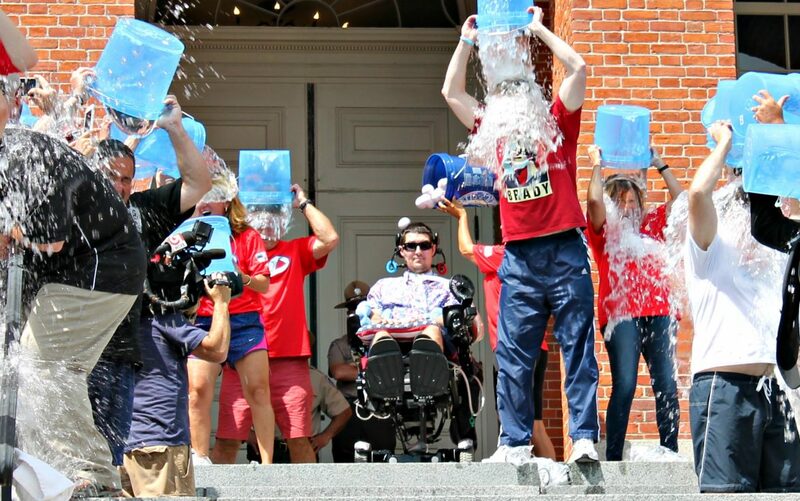 Led by Frates and his family, what began as a trickle evolved into a global deluge by summer 2015 when videos of people dumping ice water over themselves and information about ALS was ubiquitous on social and traditional media. Before the Ice Bucket Challenge raised awareness of ALS “the state of the disease had been stagnant for 150 years,” Nancy Frates, Pete’s mother, said Monday. But the campaign has raised more than $250 million for ALS research and has hastened the development of a treatment, she said. “This challenge has changed the lives of those who presently have ALS, for those who have gone before us and for all of the families that have a loved one that has suffered from this disease,” she told the Joint Committee on State Administration and Regulatory Oversight. Nearly three dozen lawmakers, both Republicans and Democrats, have signed on as cosponsors. “I just felt it is incredibly important to not only honor the achievements of Pete Frates and his family but also to make sure that we continue the work that’s been done and so we don’t forget that in the future,” Parisella said. The bill and Nancy Frates’ testimony were well-received by the committee, with several members expressing support for the legislation and the Frates family. On Saturday, Pete Frates and his family were at Fenway Park where officials from the Baseball Hall of Fame were on hand to accept the original ice bucket and sunglasses Pete Frates wore when he first doused himself in ice water. The items, along with gear from Frates’ time playing for Boston College, will be put on display at the hall in Cooperstown, N.Y.
Last month, the Frates family went public with the challenge of keeping up with the medical bills associated with Pete’s care, which now approach about $3,000 per day. The Frates family has teamed up with the ALS Association’s Home Health Care Initiative to raise money for families such as their own.